Hello, lovelies~ The weather has been SO HOT lately at my area. I've been seeing the sun all day long without any hint of clouds in the sky. How is the weather in your area? 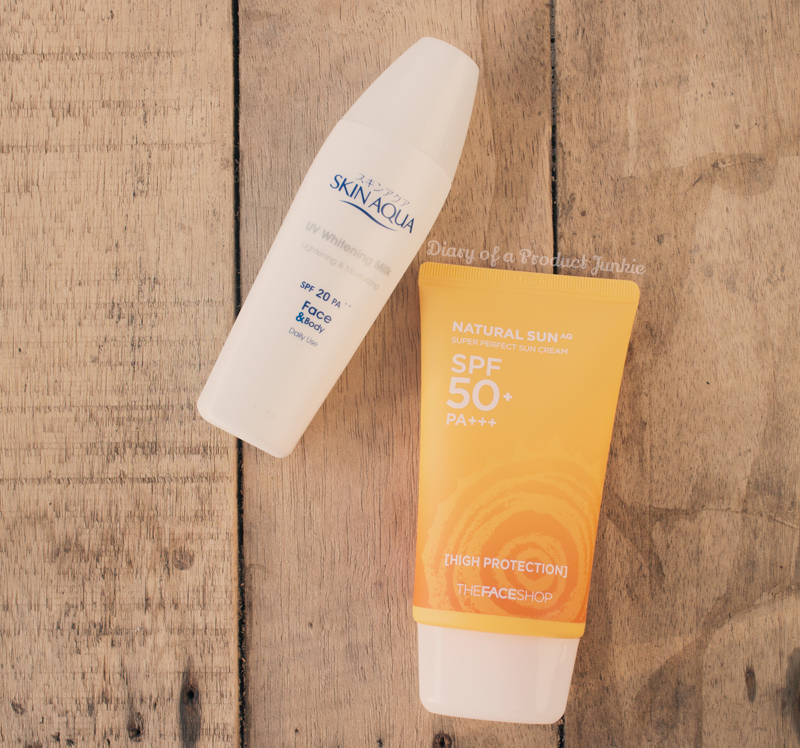 I wanna share my beauty products I use when the weather is super hot. These are beauty items ranging from skincare, makeup, body care, and hair care products. Let's just start! This is a must for the hot summer days, especially in Indonesia where it is forever summer. Oke lah, not forever summer, we have occasional rain here and there. Plus floods! Anyway~ There is no excuse for me not to wear sunscreen. I have a huge hyperpigmentation a.k.a sun spot on my left cheek as a reminder to wear sunscreen daily. Currently, I'm using one from Skin Aqua and TheFaceShop. My favorite is still the one from Skin Aqua because of their consistency, but I have heard from some of my readers that it may cause acne for some of them. TheFaceShop's is not really my favorite since it is too oily for my current skin type. Despite our hot weather, it is hard to find a BB cream or foundation that is sweatproof. 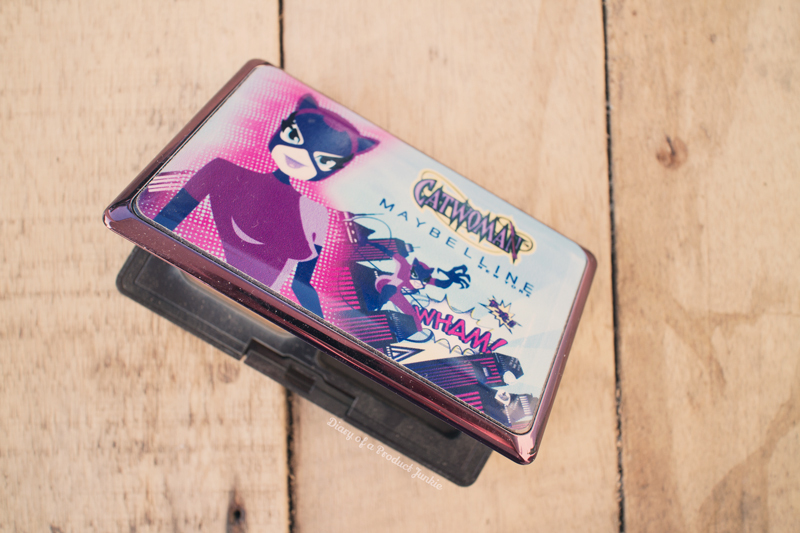 If the local brands can come up with a sweatproof makeup base, it would be awesome! Since I can't find one that is locally made here, I turn to one from Korea called Hera. 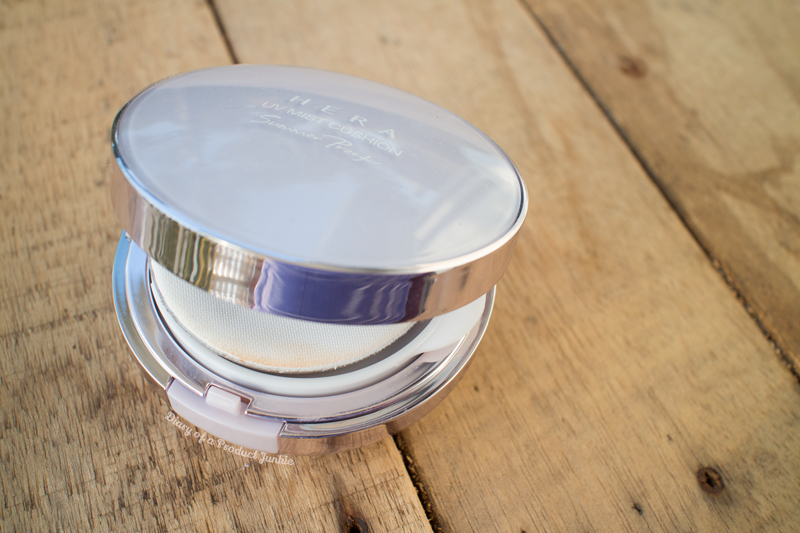 The Hera UV Mist Cushion is just... wonderful! It covers any uneven skin tone and redness present on my face. The best part is it is sweatproof! I tested it by cooking in my ever-so-hot kitchen and came back with the product still on my face! What is this sorcery?! If you can't get a sweatproof makeup base, a powder foundation may just be your best friend during the unforgiving summer weather. It won't melt off as easily as liquid base beauty products and keeps the shine off your face. Hot weather + oily scalp = Greasy Hair! I have fine hair with an oily scalp, so I avoid silicone-based shampoos like a plague. The silicones gets accumulated on the scalp, weighing the hair down, resulting in limp, oily, and lifeless hair. 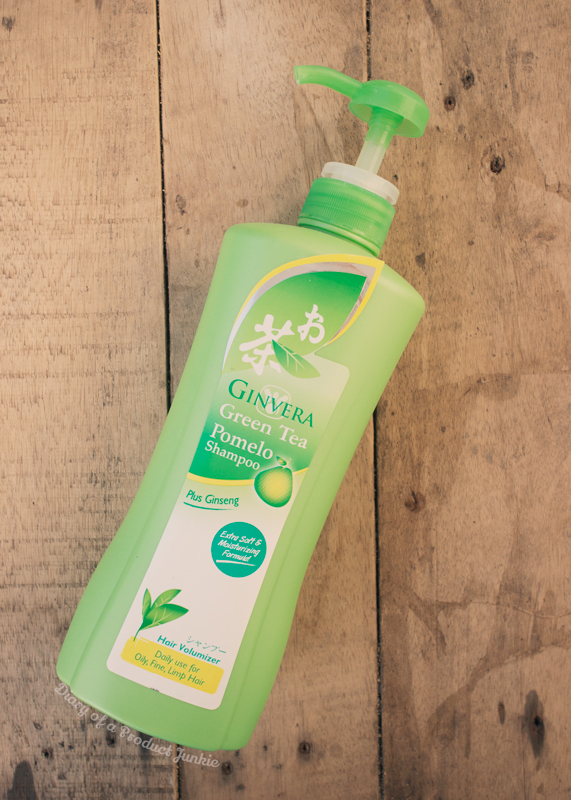 Ginvera Green Tea Pomelo shampoo is one that I have been using for these past few weeks of summer. It has a subtle green tea scent that refreshes my hair. Also, sodium laureth sulfate is not the second ingredient after water, which makes it a lot gentler for a clarifying shampoo. As opposed to my religious following of a non-silicone shampoo, my conditioner is LOADED with them. Reason being? The ends of my hair is currently dry, so a silicone-based conditioner helps to lock in the moisture, preventing any dry ends. Any conditioner will do, really. 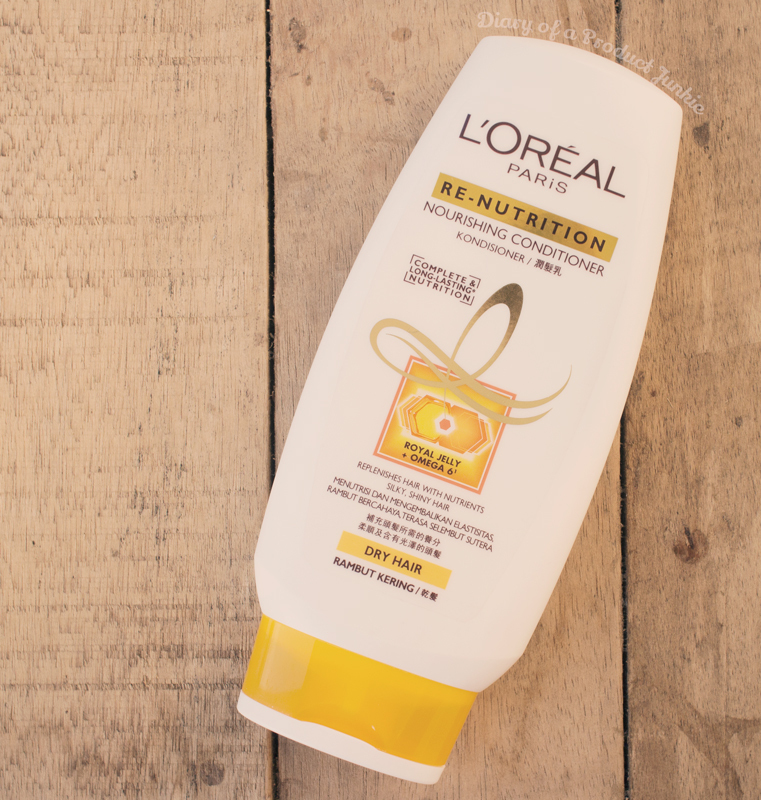 However, I chose the L'Oreal Re-Nutrition Nourishing Conditoner because the silicone is higher in composition compared to the others. I applied this only to the ends of my hair and voila! No more dry ends! One of the things I hate from hot summer days are the smell of sweat producing and filling the room wherever I go, lol. Although I am thankful that I can sweat like a normal person, the smell are just unbearable sometimes. For my summer picks, I went with a fresh, fruity scent that lifts the mood. 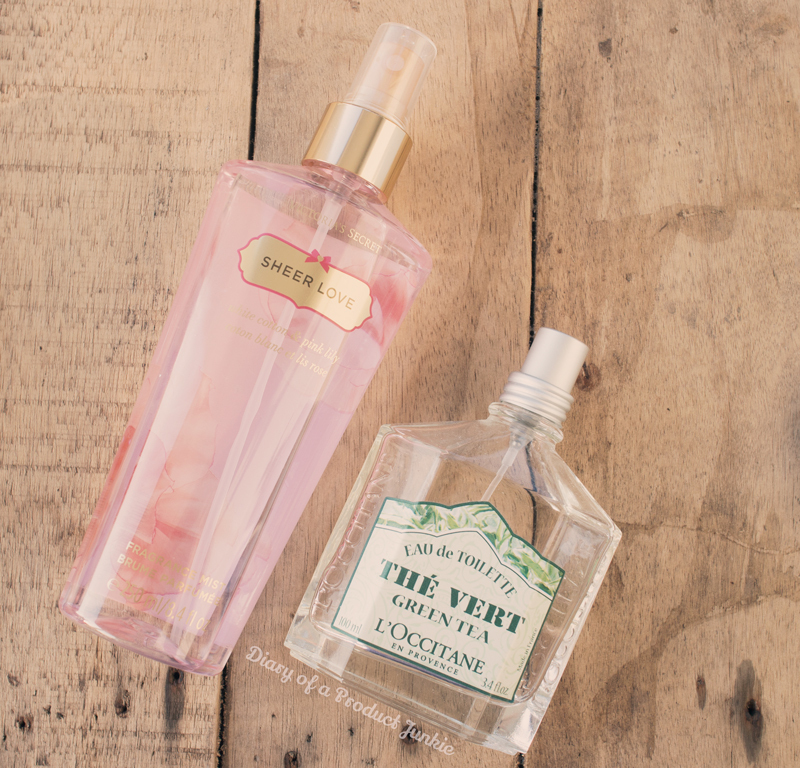 Victoria Secret's Sheer Love and L'Occitane en Provence The Vert are my favorites for the summer. It has a light scent that isn't too overbearing for the olfactory sense. Sadly, the latter has been repackaged and can't really be found in stores anymore.